To strengthen a muscle you need to gradually demand more from it. Utilizing weights and your own body weight is a great way to accomplish this. However, in order to improve your agility and balance you should practice the motions that come natural to a sport, such as throwing a ball, swinging a bat, etc. And it doesn’t take a rocket scientists to suggest that if an athlete could put these two training methods together, they could possibly enjoy the best of both worlds. In other words, if you increase the workload/weight that is on the body while performing a particular motion/task, your body adapts by creating more explosive power, which can result in a quicker swing or a longer more accurate throw. And we see this philosophy at work every time a baseball player loads up his bat with a couple doughnut weights while warming up. But let’s face it, swinging dumbbells or kettle bells around in your hand is not a natural movement. The trick to giving your body the maximum result from performing any movement is maintaining it in its natural state. Powerhandz has developed a weighted glove, that does not only increase your grip and the effort required to accomplish any movement that involves either throwing, dribbling, or swinging… but it accomplishes this while keeping your motions balanced. 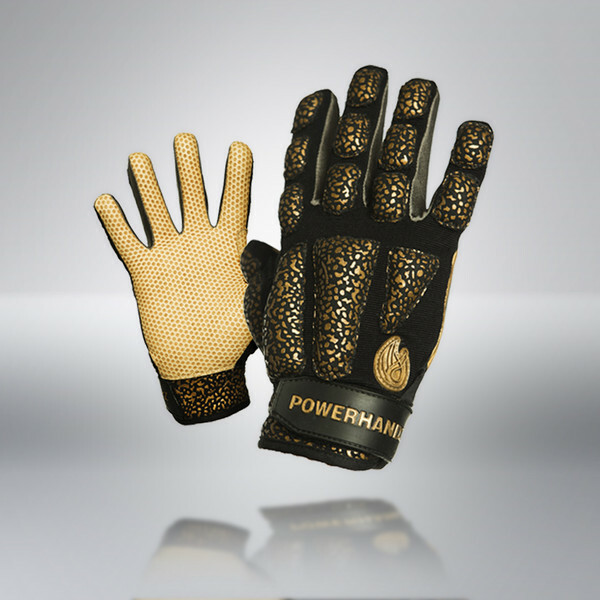 Powerhandz does not come “one size fits all” – and I mean that in terms of both its fit and function. The glove we samples was their “lifestyle” glove which is good for any sport using a bat or club. 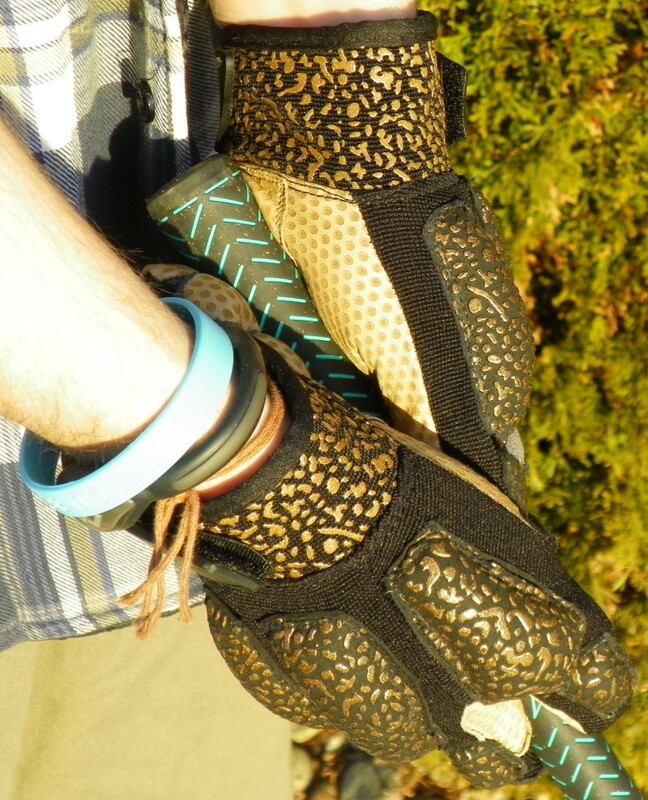 They also have gloves with palm grips designed for catching and handling a football or basketball. We could tell that a lot of thought went into these gloves. They are well-balanced, seem durable and look great with a pair of khakis and a neon green polo shirt (okay, so not really a good look, but who cares). The ‘wearable tech’ behind these gloves are the iron sand ‘pouches’ placed strategically around the flex points of your fingers and hands. This allows your hand to move naturally, while also forcing all the major (and minor) muscles in your shoulders, arms and hands to work just a little bit harder. The result should be a little extra explosive power in your movements. That was the explanation in theory… and so we set out to find this as either true or false with a couple rounds of winter golf in beautiful Colorado. 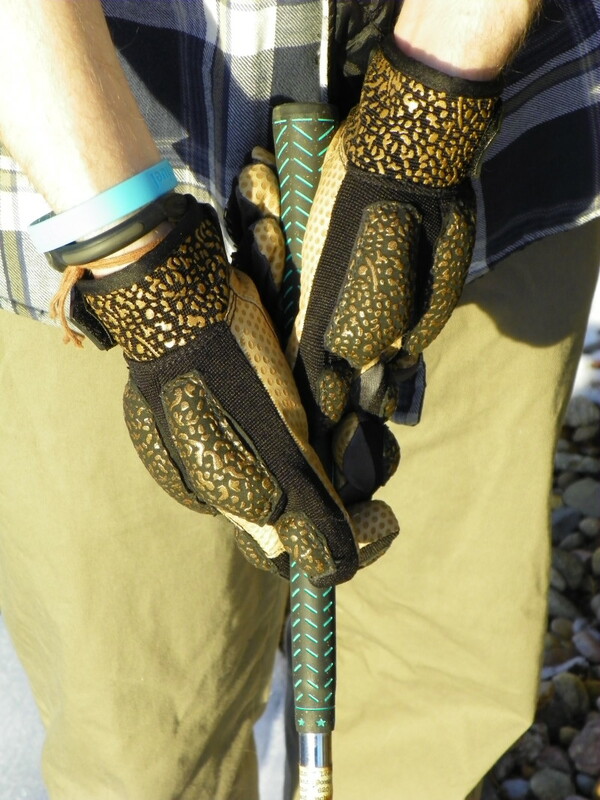 Upon putting these on for the first time, they do provide plenty of flexibility and allow you to do pretty much what you would without them, including interlocking your pinkies on the shaft of a golf club. And yes, we did notice the extra 2 lbs of weight, but it was easy to forget once you started playing. But that is not where the real magic lies in these gloves. The real magic happens once you remove them and gain that little extra kick to your game. After playing a few rounds with the Powerhandz, and then ditching them for the last couple holes, we did experience a bit more distance and accuracy (luck, maybe). 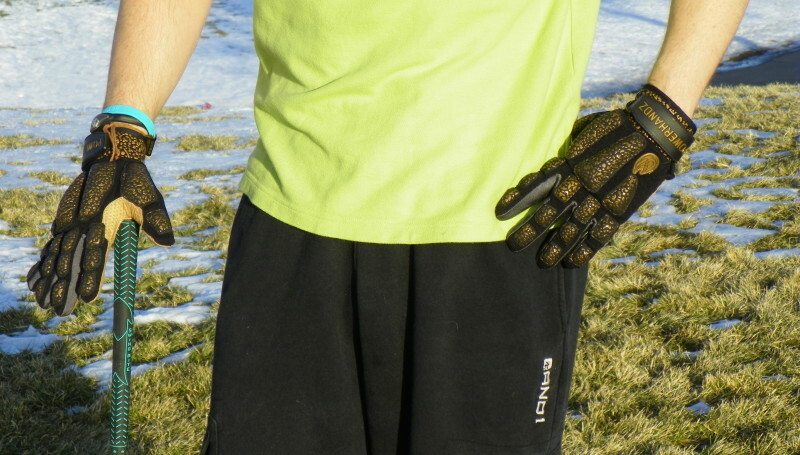 And while we wondered if the gloves would be an impediment to our ‘training’ rounds, they actually turned out to be a lot more grippy and comfortable that we expected. There are a lot of products claiming to provide ‘shortcuts’ to improving your performance just by adding some special metal to a shaft or fibers to a shirt or vitamins and minerals to a drink. But we prefer to believe that real results come from real work – the kind of work that a product like this really depends on. There are no promises other than the opportunity to work more and quite possibly end up with one extra yard out of your drive or a couple additional feet onto a line drive. But what’s that really amount to? Well, to quote a film that quite frankly says it all: “It doesn’t matter if you win by an inch or a mile. Winning’s winning!” But if you never strive for that last inch – that last mile – how can you know if you’ve reached your true winning potential? And there’s a nice list of professional athletes standing behind these Powerhandz gloves, which is what got our attention last month when we were introduced to them. And if all this sounds intriguing enough to learn a little more, you can get the full scoop here.